Congratulations to Boys 4x400 team and Fatima Cervantes for being SB County Champions! Varisty Boys Sprint Medley team wins the Easter Relays! See Noozhawk article. Warriors split with Hueneme. The girls win by one point 64-63. 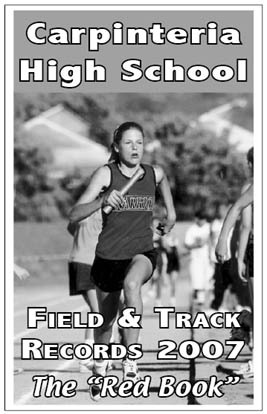 Congratulations to Shaya Alexander for being named the Santa Barbara Athletic Round Table Athlete of the Week. 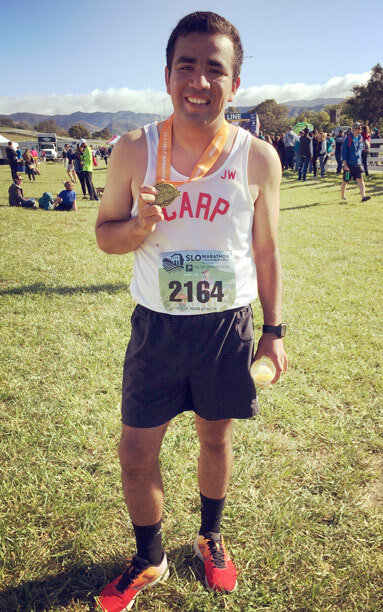 Noozhawk Article Congratulations to Coach Leo Arroyo for finishing first in his age group at the San Luis Obispo Half Marathon. Congratulations to Megan Crum for seeting a world record for the two mile at the July 21 All Comers Meet. Results of the July 21 All Comers meet. Congratulations to Daniel Burquez being the only Warrior to qualify for the CIF Finals. Daniel Burquez wins the long jump and triple jump at the Russell Cup. He is named Outstanding Athlete of the Meet for his efforts. Russell Cup results. Results from the final All Comers meet of the summer. Thanks to everyone who helped this summer- Ann and Weldon Nomura, Rocky Flores, Jeremy MacMahon, John Larralde, Angel Silva, Henry Gonzales, Tom Arellano and many others. A special thanks to Mr. Juan Gomez for cooking turkey dogs at the last meet. Cross country season is up next! Next All Comers meet is July 16. Warriors finish 10th at CIF Finals for thier best finish in a dozen years. Jimmy Graves is 2nd in the pole vault while Brian Buchmiller finished third. Chance Wright was fourth in the 300m hurdles. Warrior boys and girls defeat Fillmore in TVL action. Annalisa DeAlba sets a PR in the discus to earn the lone medal for CHS at the Easter Relays. Santa Barbara Track Club is starting a youth track club in Carpinteria this spring! 2016 track & field schedule has been released. Congratulations to Gabe Zapien-Ybarra, Bobby Contreras and Monique Sanchez for qualifying for the CIF Finals. 2015 track & field schedule has been released. Results from August 8 All Comers Meet. Congratulations to Peter Ramos for qualifying for the CIF Finals on May 24 at Cerritos College. Complete CIF Prelim results. Congratulations to Peter Ramos, Gabe Zapien-Ybarra, Brooke Hymer and Joel Montes for qualifying for the CIF Prelims. Congratualtions to Gaby Fantone, Annalisa De Alba, Tim Jimenez and Jimmy Graves for winning county titles. 95th Russell Cup - Congratulations to Tim Jimenez for earning Barney Milne Trophy for being the Warrior high point scorer. Congratulations to Nicole Pepper, Deborah Goulart, Brooke Whitney, Ian Craddock, Joel Montes and Peter Ramos for being elected captains of the 2014 track squad. Congratulations to Xavier De Alba, Bryson Frazer, Kyle Millhollin, Jonathan Esqueda, Matt Kliewer,, Ian Craddock, Gabi Montes De Oca, Nicole Pepper and Gaby Fantone for being named to the All County team. The track resurfacing finished on June 27. Warriors Finish 3rd at TVL Finals. Bryson Frazer, Gabi Montes De Oca, Bobby Contreras, Claire Sorosky and Viviana Morales earn TVL titles. Varsity Boys tie the Flashes. Bryson Frazer is County Champion in the 400 meters. He is the first varsity boy to win a county title since 2006. Results. Seraphs and Regents outscore the Warrior in varsity boys and girls. Click for results. Thanks to everyone involved for another great Russell Cup. Congratulations to David Cornejo for finishing third in the 300m hurdles at the CIF Finals. 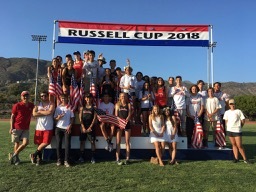 93rd Annual Russell Cup a great success! 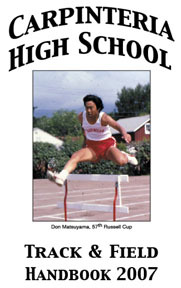 Thanks go out to the following for helping with the meet: Ann Nomura, Rocky Flores, Marcus Priest, Trish Durflinger, Ramsey Smith, Dan Mercer, Sheila Batson, Amy Bryant, Casey Roberts, Lydia Han and Alberto Santamaria. Noah Bryant and his coach John Amneus are embarking on a new project called throwerspodcast.com. 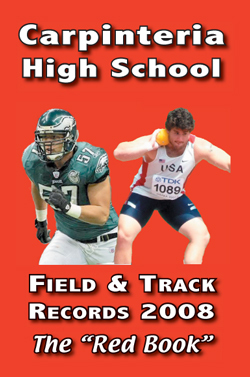 The intrepid duo will be broadcasting in-depth interviews with some of the top throwers in the world. Update: Class lists for girls and boys are now posted. A discussion on athleticism from the Vern Gambetta blog. Congratulations to all the award winners at the annual team banquet. Congratulations to Wyatt Craddock for finishing 6th in the shot put at the CIF Finals. Shelby Dunlap finished 7th in the 300m hurdles and the shot while the 4x400 relay team of Travis Madden, Aron Uribe, Alex Rodriguez and David Cornejo ran a seasonal best. Thanks to all those who volunteered at the 92nd Russell Cup. It was another outstanding track & field meet. Alumni wins the boys meet and the senior/freshmen win the girls meet. Thanks to Henry Gonzales, Pancho Gonzales, Bob Gonzales, Nito Camargo, Bob Brennen and Ray Gonzales and the Carpinteria Alumni Association for putting on the post-meet BBQ. Congratulations to Shelby Dunlap, John Bustillos and Travis Doop for medaling at the CIF Finals. Shelby was 3rd in the 100m hurdles in a school record time of , Travis was 4th in the pole vault and John was 6th in the shot put. Thanks to everyone who made the CIF Prelims a great success. We are finally done with home meets! It was quite a run, 7 of the last 8 meets at home with 4 of them being invitationals. It was a long grind but a very satisfying one for track & field enthusiasts. Once again we received many complements about our meet. Thanks to all who helped make the Santa Barbara County Championships another great track & field meet. Thank you to everyone who made the 91st Russell Cup another great meet! 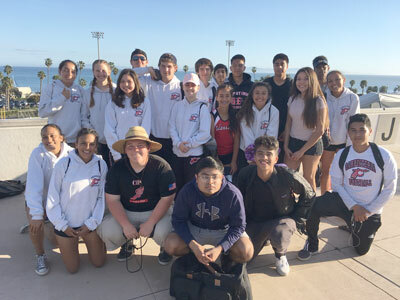 One dozen meet records set on a beautiful day for track & field in Carpinteria. Many outstanding coaches are coming for the clinic in benefiting John Larralde. Noah Bryant at the USA Nationals in Eugene, OR on June 28. 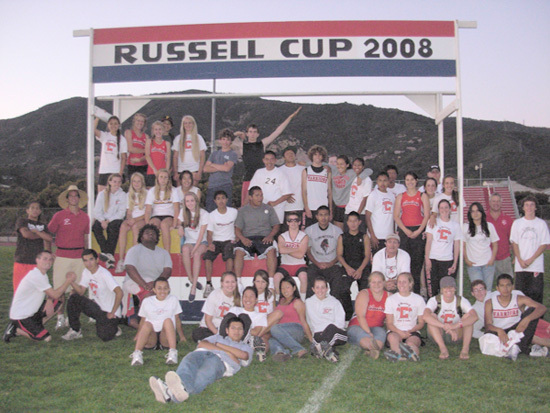 Thanks to everyone for making the 90th Annual Russell Cup a huge success! Latest edition of the Warrior Journal is on line. The Red Book is now available. First edition of the Warrior Journal now available. Noah Bryant finished 15th in his flight at the World Track & Field Championships in Osaka, Japan on August 25. Noah's toss of 60' 11 1/4" did not qualfiy him for the final. Fellow American won the World title with heave of 73' 5 3/4"
Former Warrior sprinter and cross country runner (Class of '05) was killed while serving his country for the U.S. Army in Iraq on July 26, 2007. Condolences go out to Jaime's family from the Warrior T&F family. Noah is going to Osaka! Noah Bryant finishes 4th at the USA Nationals to earn a berth on Team USA for the World Championships in Oasaka, Japan. More info on USATF website. Noah Bryant wins NCAA Shot Put Title! 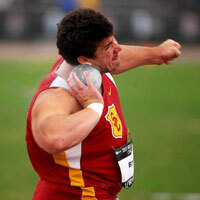 USC senior throws 65' 9" to sweep the indoor and outdoor titles this season. More info available at USC website. The Warriors dress in throwback "Carp" uniforms for the last dual meet of the season. Great article about Noah Bryant in Track & Field News.